In April last year I had a post titled Creature in the Forest. Today’s post is similar but different; it has more of a desert vibe than forest. Photos in the first post were shot in the green lushness of a tangle of cosmos stems and leaves around my bird bath. The photos in this post were shot in a crowded jumbo of various types of yellow, flowering rudbeckia in my garden. 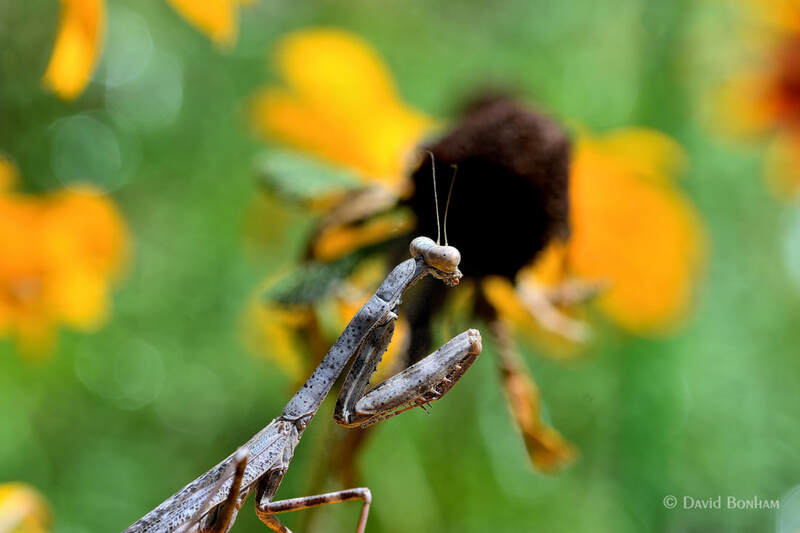 The mantis in my Creature in the Forest post was green and the one in this post is brown. I far as I can tell from my research they are not the same. 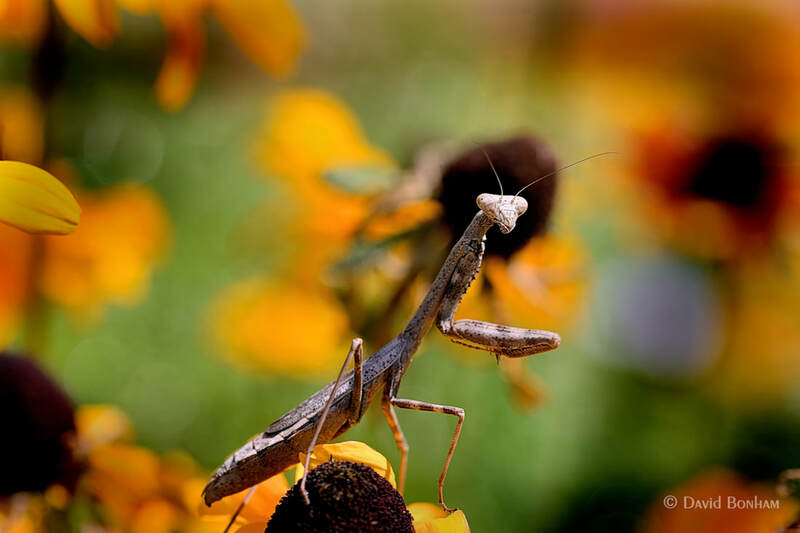 They are not like crab spiders and change their body color to match their surroundings; however, it has been observed that after molting their coloring does sometimes change very slightly. 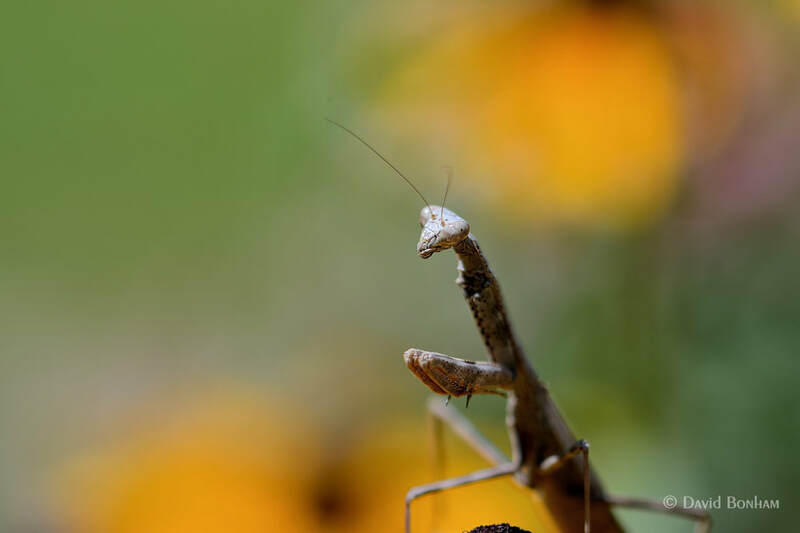 In my first post I noted that one interesting thing about mantises is that they are the only insect that can turn their head side to side. It is really strange to be looking at one that is looking off to the side then, when you make a noise, it turns it head and looks at you. Very creepy. All photos were taken with a Nikon D7100 and a Sigma 105mm macro lens. 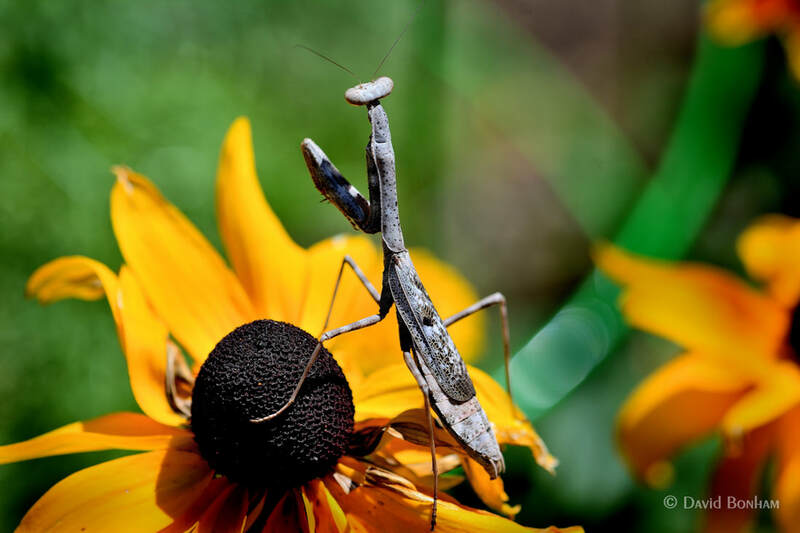 This entry was posted in Insects and tagged Nikon D7100, praying mantis, Sigma 105mm F2.8 EX DG OS HSM Macro. Bookmark the permalink. 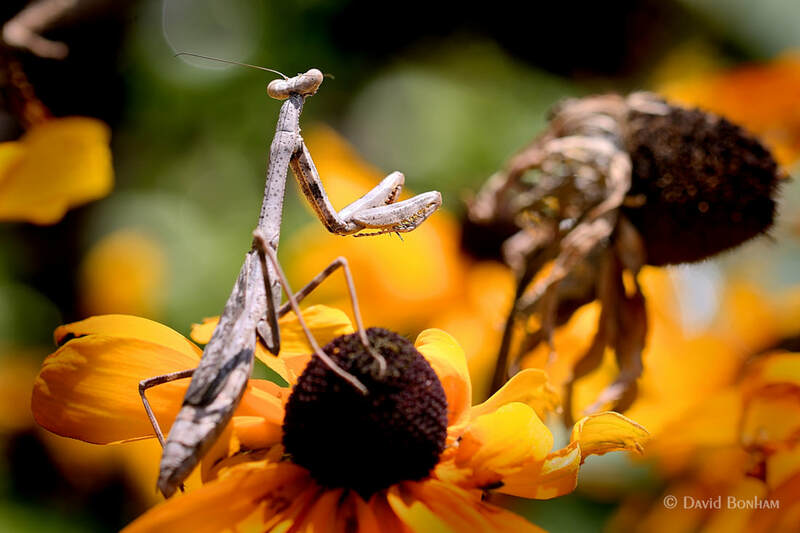 I’m jealous, I’ve never seen a mantis in the Berkshires (apart from the ones that came out of an egg case I purchased one time). Love that last shot. There’s another one you’ve got me on! 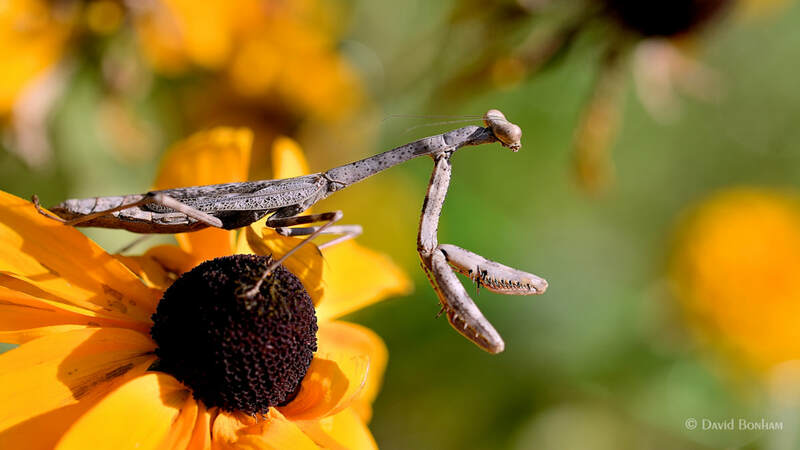 Not sure I’ve ever seen a walking stick, or any kind of stick insect, outside of a butterfly house exhibit. I think they do have them in the eastern part of Massachusetts but not in the odd little valley in western Mass that I call home. Well, at least to my knowledge. I'm an amateur photographer. That means I really like to take pictures, but I don't get paid for taking them. That's fine, for years I was paid for doing stuff I didn't really like to do. Maybe things even out in the long run? I also like to write a little something about the pictures I take. Sometimes I like to write more than just a little. I'm an English Lit major so I feel I can operate my blog with a poetic license. What this means is that sometimes what I write is not completely true. I could use smiley faces and other emoticons or lols and heh hehs to give you an idea of when I'm operating with the poetic license, but I'm not comfortable with that stuff. So, I'll let you the reader decide when the license is being used. I think it might be more interesting that way.